You are here: Home / Journal / Shopping trolleys – where are they? 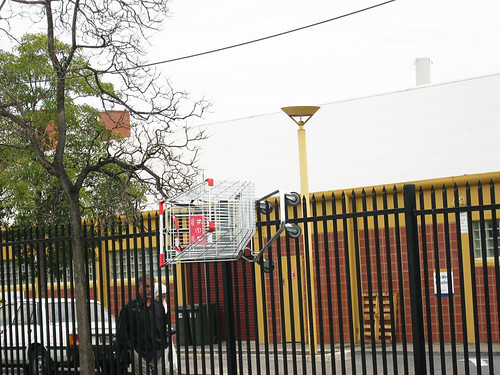 Shopping trolleys – where are they? Monday, 18 July 2011, Day 237/365. I think Mondays might become my objects found on top of fixed objects theme as you will see when I do today’s photo in a week’s time. The nearest shopping centre to where this was left isn’t really really close so it was pushed a little way and we all know how unwieldy shopping trolleys can be. I wonder if the little sign on the wall depicting no skating or skateboarding should also have no shopping trolley image on it. 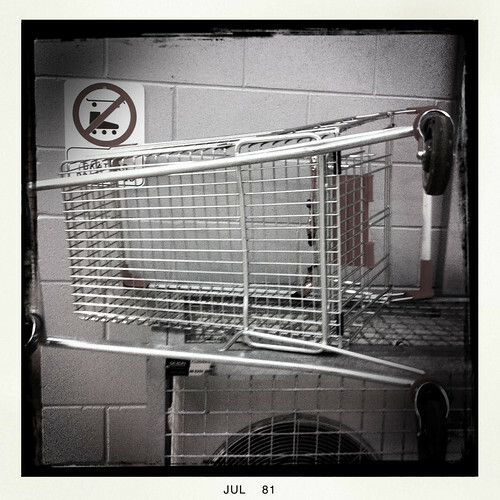 And below is a picture I took a while back now of another shopping trolley in an unusual place.